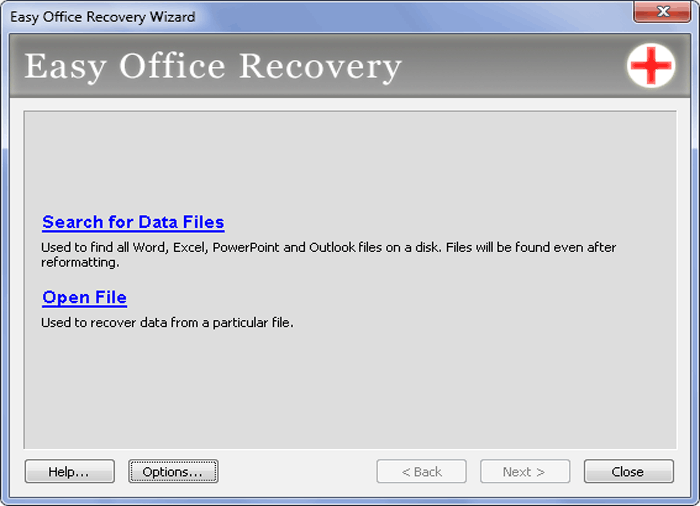 Easy Office Recovery is a universal and multi purpose Office Recovery program, which focuses on restoring and repairing damaged and deleted Microsoft Office files, such as files of Excel, Outlook and PowerPoint and it’s capable of repairing even the most devastating file damaging cases. Where the built-in tools stand no chance, Easy Office recovery is powerful enough to perform the most difficult Outlook repair, as well as Excel and PowerPoint restoration. It was designed as a standalone program, running automatically so that the end user could recover files with as little effort as possible. 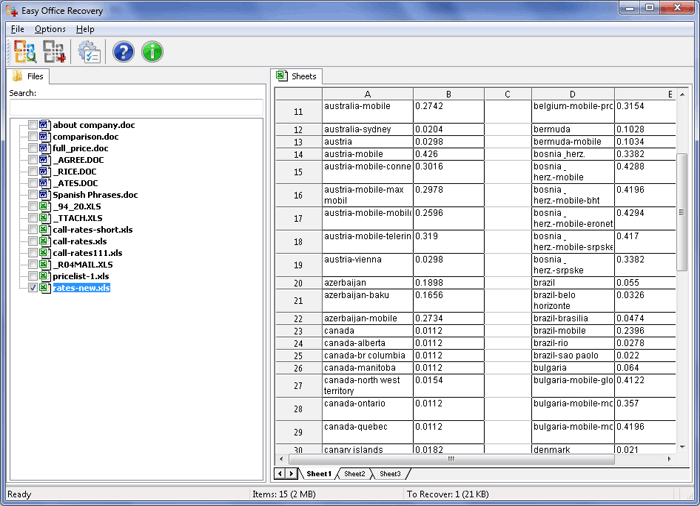 A simple interface makes it easy to run the program with no additional help required. The program works with all types of storage devices, including those that cannot be accessed or are corrupted. Thanks to the innovative recovery algorithms, the search can be performed even on large hard drives and it doesn’t matter how fragmented the data is, the program can get it back in place. Microsoft Office Recovery can be accomplished in short time, the registered version had no restrictions on the number of files that can be recovered. The program has a full preview, with charts and pictures, letting a user find out whether the files are recoverable in advance. Created with home users in mind, the program is a wonderful choice for inexperienced users, in order to carry out MS Office recovery, no one needs any special knowledge. It works on Windows operating systems and supports Unicode. The quality of recovery is guaranteed and it’s compared to manual data recovery by a specialist. Automatic recovery process is a huge advantage as nothing has to be done manually, the computer does it all itself thus taking less time and saving strength for more pleasant activities than emergency data recovery. supports Windows operating systems: 2000, XP, Server 2003, Vista, Server 2008, 7, 8, 10 and Server 2012. © 2006-2019 MunSoft®. All rights reserved. Microsoft, Windows, Excel, PowerPoint, Outlook are registered trademarks of Microsoft Corporation in the United States and other countries. Other names may be trademarks of their respective owners.